Submarine v Krakov, Polsko: Zarezervujte nyní! We will charge 100% cost of the total reservation. Please note that bookings of 6 or more people, for the same period or with the same name, will be classed as a group booking. There is a minimum length of stay for groups - at least 2 nights. To confirm the reservation the deposit is required and the hostel will provide you more information after receiving the booking. All group bookings for 1 night or with not paid deposit will be cancelled. Free cancellation for groups is only possible up to 30 days before arrival. 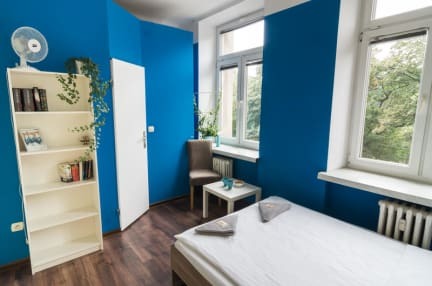 We love to get to know new people, so we want to offer you fully equipped rooms to give you the opportunity to enjoy the stay in city that was a capital of Poland for over a half of century. 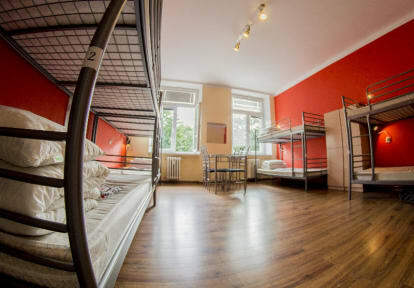 Our hostel is located just 5 minutes from the main station and the shopping centre Galeria Krakowska, putting it within walking distance of all the major sights. Our facilities include 5 rooms ranging in size from double/quadruple private rooms to 6/10-bed dorms (each bed has a thick mattress, a comfortable pillow and duvet, bed linen) with two bathrooms. You will also be granted a private locker. All dorms have table and chairs for example for playing cards or table games with your new friends from all the world. We offer you fully equipped kitchen with all things that you need - electric kettle, fridge, pots, pans, cutlery, plates and bowls. There are always tea, coffee and sugar. You will have the opportunity to meet lots of interesting people and get to know more about Krakow and its culture which you might learn from touristic brochures. Why you should stay with us ? We will show you the city, tell you what’s worth seeing, and where to eat well-known local cuisine. You can book excursions and extra attractions with us. Our friendly, multilingual staff is always there to help and give information.You can pop in and chat with us as well! We love our job and we enjoy meeting travellers! Please, inform us in advance of your expected arrival time, because from Sunday till Thursday our reception works from 7:00 till 00:00. At weekends the reception is open all the time during the day and the night. Payment upon arrival by cash, credit cards, debit cards. This property may pre-authorise your credit card to confirm the reservation. Please note that bookings of 9 or more people, for the same period or with the same name, will be classed as a group booking.